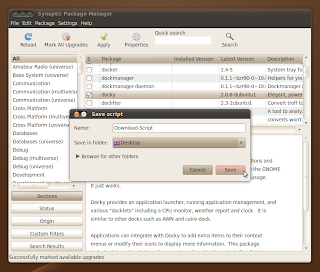 If you don't have an active internet connection at your Ubuntu machine, you can still install software packages/updates etc by using an installation script generated by Synaptic Package Manager. 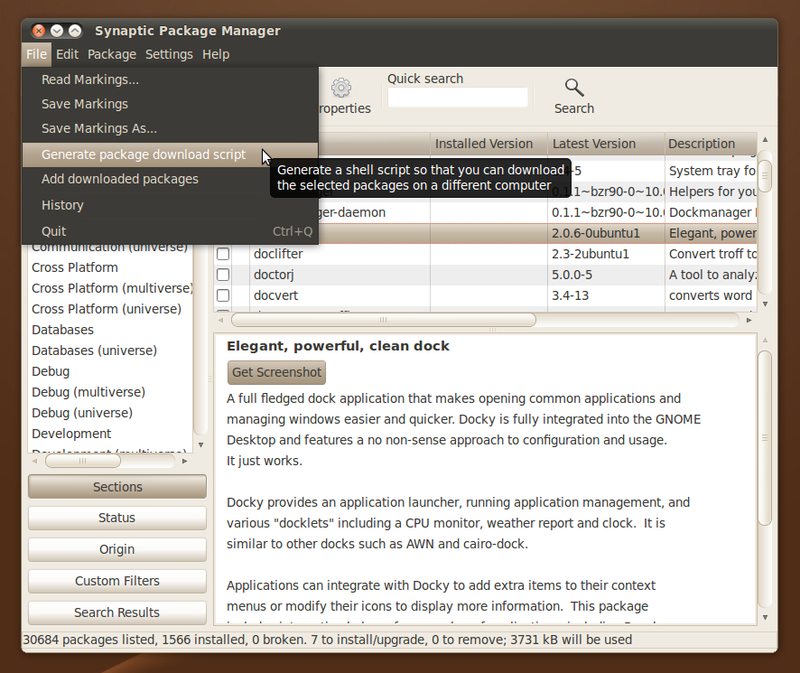 Open up Synaptic Package Manger by going to System > Administration > Synaptic Package Manager or by searching the Dash in Unity. 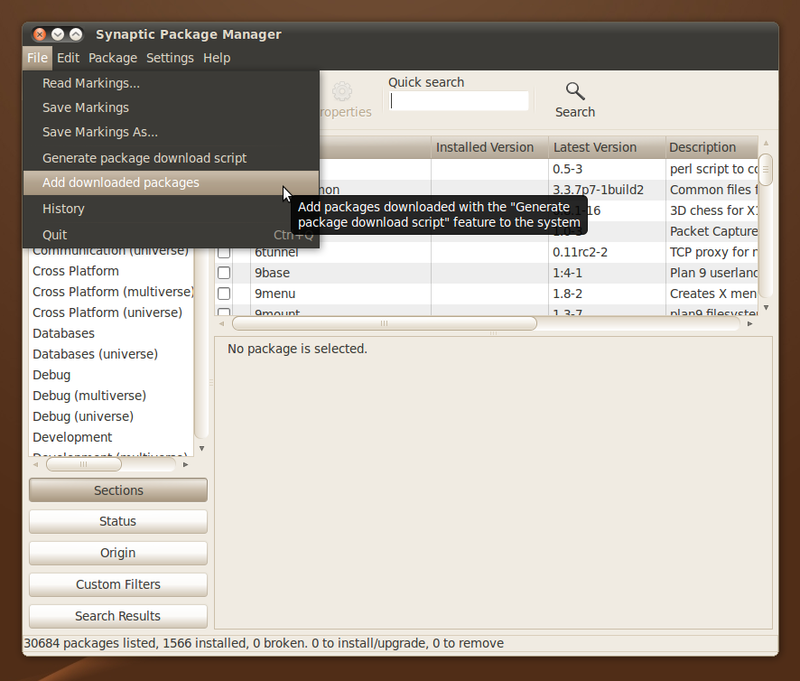 Search for and mark the intended packages you want to install. Mark the dependencies also, if any. Mark as many packages as you want to. 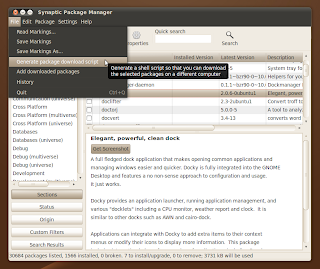 When satisfied, instead of clicking the 'Apply' button that you normally do when installing from Synaptic, go to File > Generate package download script instead. Save the script wherever you want to. Now copy the generated script file to a USB drive and get to an online computer, whether Ubuntu/Linux or Windows. Copy the script from your flash drive to any directory (creating a new directory is recommended as the packages would be saved in the same directory) and just double click the script file. Choose 'Run in Terminal' and wait for the downloads to finish. Once completed, copy the newly created directory containing the packages back to your flash drive. 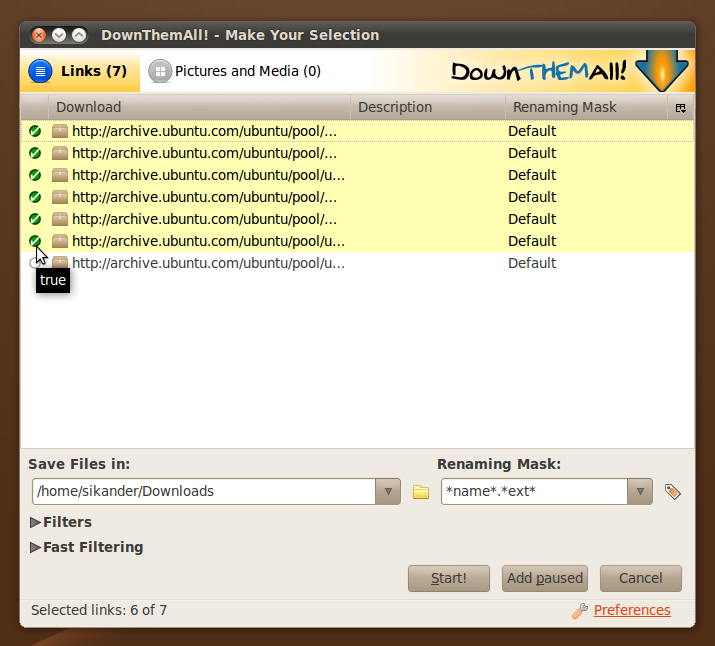 You would need Firefox with the DownThemAll add-on in Windows. Now in Firefox, go to File > Open File... and open your script file. The script containing the download links should be displayed in your current tab now. Right-click in the page and choose DownThemAll. All files should already be selected for download. If not, tick All Files under Filters. 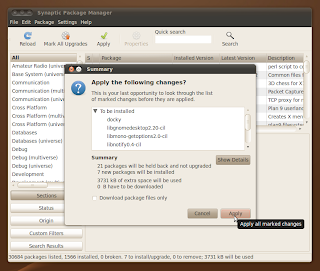 Next, choose the directory into which the packages shall be downloaded. When ready, simply click 'Start' to begin the download process. 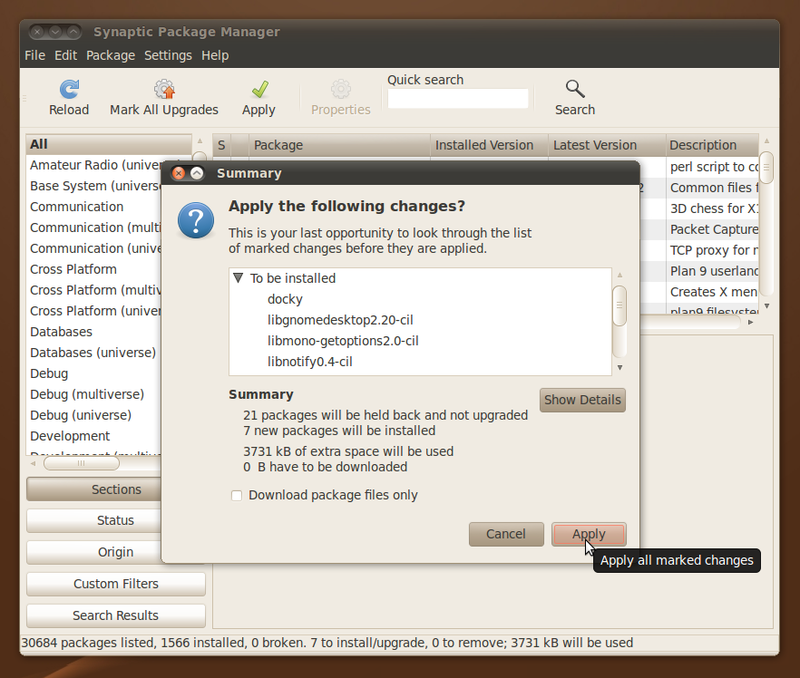 Once completed, move the downloaded packages to your flash drive. Open up Synaptic on the target PC and go to File > Add downloaded packages. Navigate to the directory containing the downloaded packages and click 'Open'. Review the changes and click 'Apply'.